Let's talk to my parents on the go! I'm without a doubt, a hands-on mom. Being involved in my kids daily events is not even an option, it just isn't possible to be with our kids every second of every day. While we are busy working, traveling, or simply out and about managing and maintaining affairs for the family, it's very important for us to have peace of mind knowing that our children are safe and being well taken care of in our absence. I clearly remember this as being especially true when I was a new mom, parents of infants find this to be a major parenting challenge. Putting parents at ease, BabyBit launches their smart mobile baby monitor technology to help new moms stay connected with their babies. This post is written in partnership with BabyBit as sponsors of this advertorial. 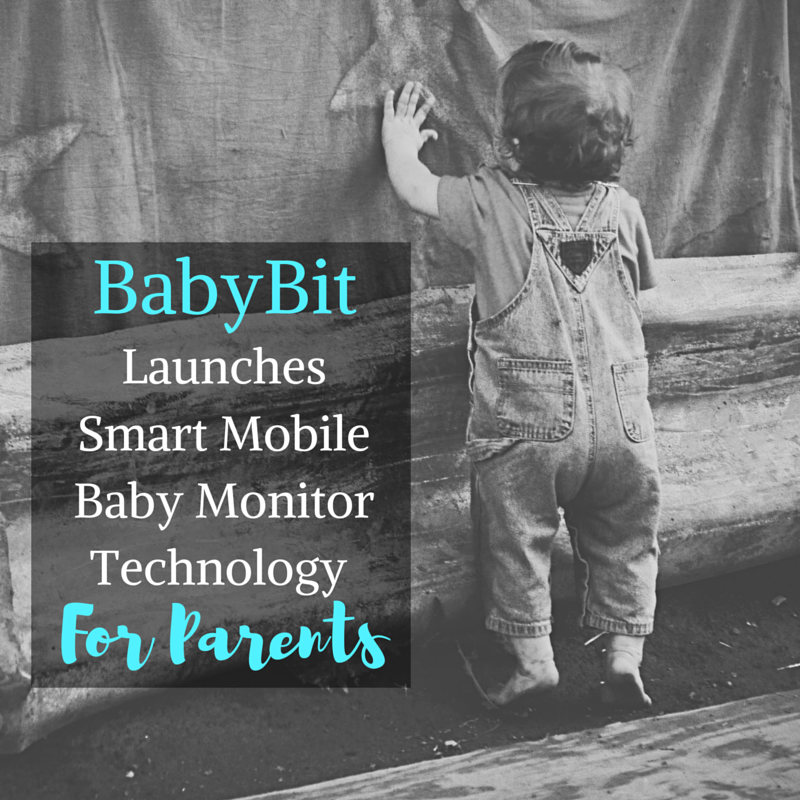 I have recently had the opportunity to partner with BabyBit, introducing their groundbreaking new smart mobile baby monitor while proudly launching via an Indiegogo crowdfunding campaign. Balancing parenting and a busy lifestyle is almost never easy, find products that help parents everywhere to stay connected to their babies while they're away is definitely worth the investment. Step 1- Parents and caregivers download the BabyBit app and configure notifications for events they would like to track (such as when a new caregiver takes over or the baby is sleeping on her stomach). Step 2- Caregivers request permission from the parent (via BabyBit app) to connect to the baby's sensor. Step 3- Clip the BabyBit sensor onto baby's clothing and ensure it connects to parents' and/or caregivers' phones. Step 4- BabyBit will now continually monitor baby's environment and send notifications as needed. To get detailed, up to the minute information, parents can launch the app. * Notification to parents when child is dropped off or picked up by a caregiver. Eliminating dependency on receiving a text or phone call indicating your baby's location with a status update via mobile notifications. * Alerts parents when monitor detects crying for an extended period of time. * Detects when infant is sleeping on stomach and alerts both the caregiver and the parent immediately. 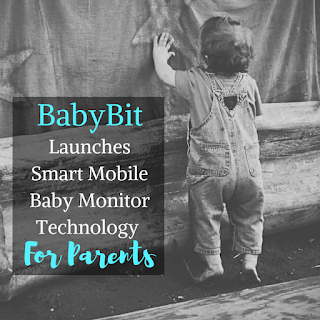 It's very exciting to partner with BabyBit for the launch of their smart mobile baby monitor utilizing technology that new parents, parents on-the-go and families with special needs will find most useful. Here's how to support their launch and Indiegogo Campaign. For more information and to sign up for email updates, please visit BabyBit. Let's talk! 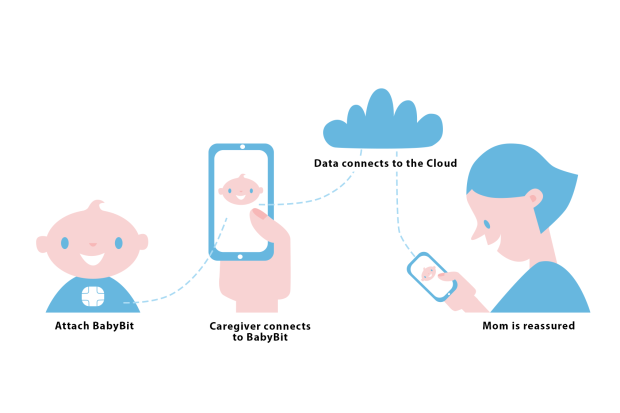 I'd love to hear what you think about BabyBit and any tips you might have for parents on-the-go to stay connected to their babies when they can't be with them.